Most career tests are saturated with three problems that make them all but useless. When I took a career test in high school it told me I should work in Finance. At the time, I liked watching CNBC, learning about businesses, and playing the stock market with what little money I had. I was clearly interested in investing and the career test I took validated that interest. That is kind of how most career tests work in the plainest of words. They measure your interests and recommend careers that more or less satisfy those interests. Do you like kids and teaching? Be a preschool teacher. Do you like math and the internet? Be a web developer.  Do you like performing and the arts? Be an actor. I ultimately did study Finance and interned as an Investment banker at one of the major Wall Street banks. I probably would have regardless of what the career test told me to do. I hated it. Do you like math and the internet? Be a web developer. Do you like performing and the arts? Be an actor. What I found was that investment banking was nothing like I expected. The hours were worse than I could have imagined. The work environment was toxic: full of substance abuse, angry people, and gaudy materialism. And even the work itself, the one thing I could say I was truly interested in, was mundane and repetitive. I would spend weeks editing and reediting a presentation or model for a business, making sure that all my bullet points ended consistently with periods and followed firm grammatical guidelines, and tinkering with the assumptions of faceless analysts working in research departments at other banks. Attention to detail, stress tolerance, and love of a deal were keys to the job and I had none. Needless to say, I didn’t go back. I eventually became a web designer, a career with less supervision, more autonomy, more creativity, and a channel for what turned out was a repressed artistic proclivity. Why was the career test so bad? Because most career tests are saturated with three problems that make them all but useless. 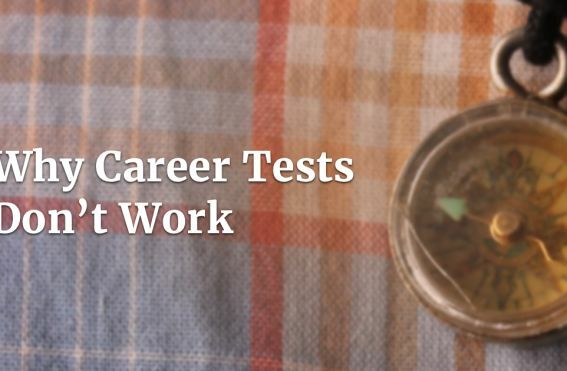 Problem #1: Career tests are least helpful to those that need them the most. 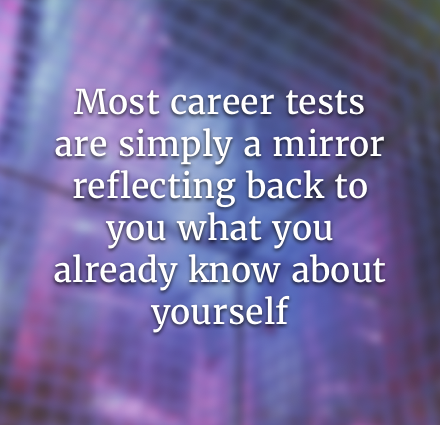 Most career tests are simply a mirror reflecting back to you what you already know about yourself and are thus limited by how well you know yourself. They do this by design. Career tests, like any good psychometric instrument, should be valid and reliable. That is to say, they should accurately and consistently predict whatever it is they purport to predict. The problem is, how can you measure how well you predict what career someone should go into? The kind of longitudinal study you would want that follows people’s career decisions and workplace satisfaction over time simply doesn’t exist. Not to mention that job satisfaction includes so many job-specific factors that might not be generalizable to a career. Perhaps if I worked at another investment bank or even for a better manager, I would have liked my job a bit more. Career tests, and we’re only talking about the “good” ones here, rely on what data they have access to: simply asking people if they are satisfied with their career predictions. This is what is known as face validity. The problem with this approach is that you end up optimizing tests that are flattering but not necessarily accurate, reflecting our self esteem over our blind spots. Who wants to be told they should deliver packages for living? What this does is make the quality of a career test a product of how well you know yourself. So ironically, a career test will produce the least useful results for people who need it the most and the most useful results for those who already have a grasp of their interests, personalities, and values. Another problem with career tests is this paradox: our expectations of career satisfaction are mostly based on our interests but actual job attainment and performance is more based on personality and our work environment. 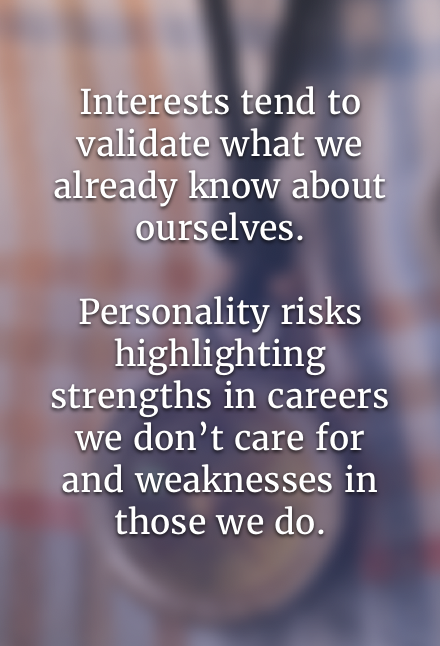 Problematically, most career tests focus on identifying your interests. Interests include things such as mathematics, performing arts, working with tools, film, etc. Personality and work environment, on the other hand, include things like whether you like working alone or with people, how you communicate, how you problem solve, what kind of management you respond to, your attention to detail, your need and capacity for creativity, what kind of leader you are, and how much stress you can handle. I was, and still am, interested in Finance, but I am an awful personality fit for the industry. In this way, interests are a necessary but very incomplete measure of how well we will fit with a career. There are three reasons why career tests don’t match you to personality. First off, there is a lot to personality. Most career tests focus on what are called Holland Codes, which essentially describe six types of careers. There is decades of research and data on how careers relate to holland codes. Personality and work environment, on the other hand, are incredibly multifaceted. 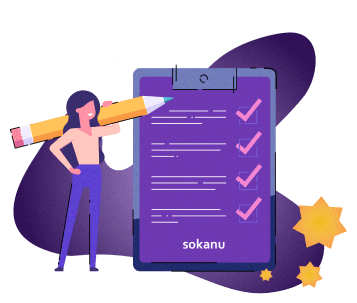 For instance, Sokanu’s personality and work environment inventory consists of over 60 traits, and to date, no public institution has gone through the rigorous effort of validating how these kinds of traits could predict career satisfaction. The other reason career tests rarely match to personality relates to the first problem: it’s not necessarily face valid. We might want to be a CEO but are bad with people. We might want to be a doctor but can’t handle stress. We might want to be a video game designer but are not that creative. Interests tend to validate what we already know about ourselves and broaden our sense of what is possible. Personality, on the other hand, risks highlighting strengths in careers we don’t care for and weaknesses in those we do. Finally measuring personality correctly is just plain difficult. Personality traits are supposed to be immutable, in that they don’t change much overtime, but our self assessment of our personality does change. How many 15 year olds know whether or not they would be good leaders or motivated by monetary compensation? It takes time to get a sense of who we are. A job of a good personality test is to uncover things we might not know about ourselves but if we can’t relate to the type of situational questions that these tests often pose, our responses are useless. It’s all good and well for us to strictly do the things we like, but unfortunately there is a limited supply of great jobs. Most of us, regardless of our interests or personality, would probably prefer being some kind of artisanal artist over a cashier. The sweet spot is about finding jobs that we enjoy more than other people. Everyone has this hidden competitive advantage in this sense. Like personality, most career tests completely ignore market conditions and supply of jobs, and end up often over-recommending popular careers like Actor and Lawyer and under-recommending more in-demand careers like Welder. So why did Sokanu make a career test then? To be honest, we didn’t know about some of these limitations when we started. Like a lot of businesses, we learned about these as we went along. Our goal has always been to help people find the career they were meant to be in. That started with the traditional approach of focusing on people’s interests, but we slowly started to invest more in other facets of career satisfaction like personality and labour market realities and think more holistically about what the “right” career really means. We think we have the best career test on the planet by far (then again that means nothing since we’re incredibly biased). But we’ve also been humbled by the experience of trying to tell people what’s best for them, enough to realize that even the best career test has inherent limitations that we won’t be able to overcome until perhaps we make breakthrough advancements in neuroscience and massive-scale, radically-detailed, labour data collection. Until that day, we think of Sokanu’s career test not as an authoritative list of your best careers but simply a starting point of exploration. 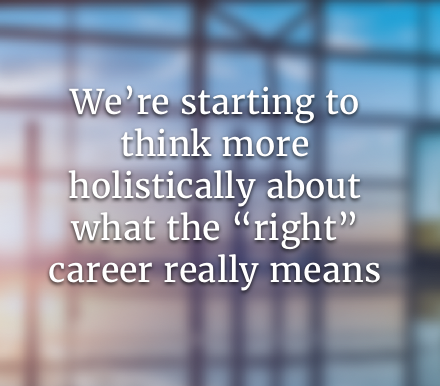 For many, simply learning about new careers they’ve never heard of or our perspective on their incompatibility with a career they thought they liked is enough to start the ball rolling.